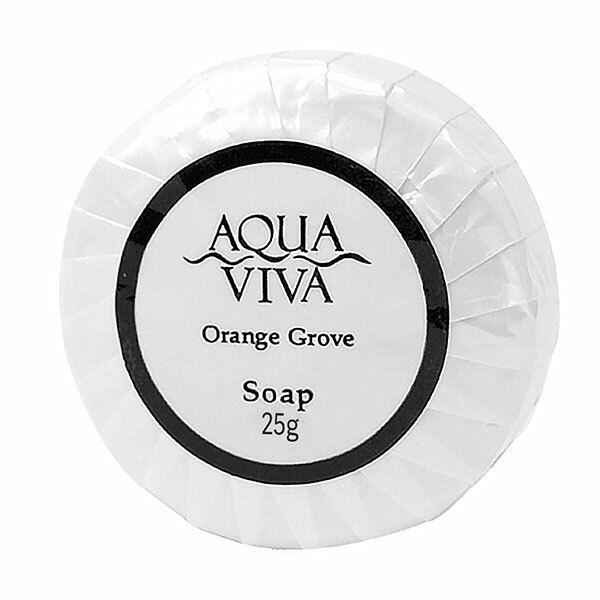 A zesty orange grove fragranced soap creating a relaxed and refreshed feeling. A smart looking pleat wrapped soap, contemporary wrapped and labelled. Supplied in 15g and 25g sizes. 250 per case. Matching products available: 15g Soap, 25g Soap, Bath & Shower Gel, Shampoo & Conditioner and Hand & Body Lotion in 30ml Black Tube: Bath & Shower Gel, Shampoo & Conditioner and Hand & Body Lotion in 30ml Oblong Bottle. Bath & Shower Gel, Shampoo & Conditioner, Hand & Body Lotion and Hand Wash in 300ml Pump Bottle: Bath & Shower Gel, Shampoo & Conditioner, Hand & Body Lotion and Hand Wash in 5 Litre Refill.